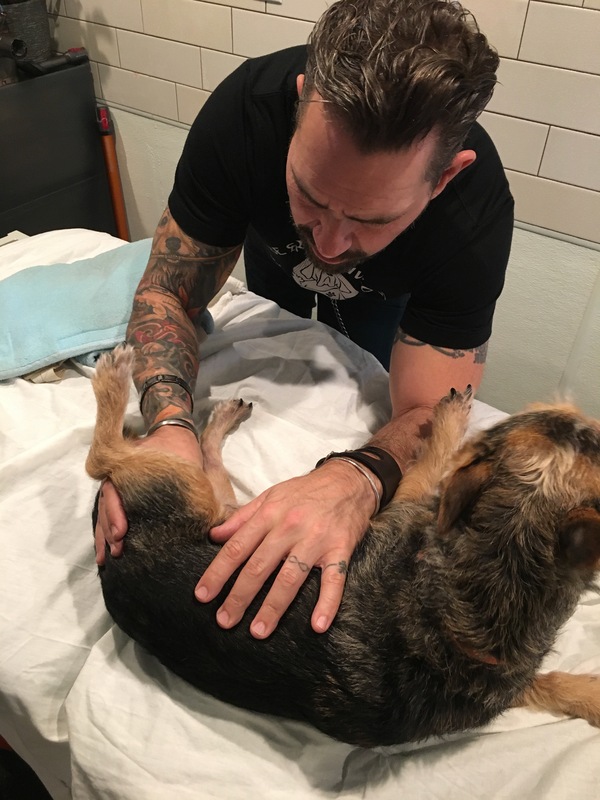 In Canine Rehabilitation, when we hear the term, “Manual Therapy”, many of us assume it’s just another word for massage. It’s not. Manual therapy and massage are two very different techniques with distinct benefits for your pet. You have probably heard of Swedish Massage, Deep Tissue Massage and Shiatsu Massage. These are all massage techniques that use pressure, stroking and rhythmic motion to the skin and soft tissues of the body. Massage is used for stress reduction, decreasing tension and anxiety as well as promoting overall circulation, relaxation, and flexibility. Massage is definitely beneficial to dogs and cats and can be a great way to reduce stress and improve your pet’s quality of life. Here’s the difference. Manual therapy is focused assessment and manipulation of muscle, tendon, skin, scar, bone, fascia, joint and nerve tissues with the intent of diagnosing dysfunction and returning natural movement and symmetry to the body. With proper training and years of hands on experience, a manual therapist can detect joint swelling, tendinitis, trigger points, spinal joint subluxations, muscle sprains and strains, joint capsule strains and ligament tears such as a CCL, (knee injury). Once the dysfunction is detected, we use additional manual therapy techniques to treat our canine and feline patients. Duke getting manual therapy to his adductors. 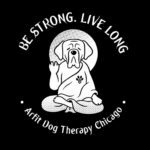 At Arfit Dog Therapy Chicago, These special techniques are used in addition to laser therapy, massage and exercise and can reduce your pet’s recovery time and increase their comfort level faster than massage and laser alone. A manual therapist can assess your pet’s progress at every visit. We check for changes in inflammation, swelling, muscle spasming, trigger points and joint mobility. This information allows us to tailor each treatment visit to your pets’s needs. 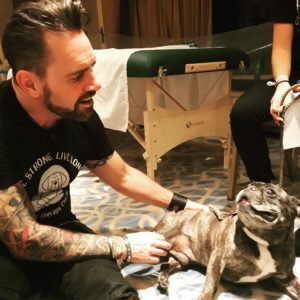 Massage and manual therapy can both be utilized as part of a plan to promote your pet’s overall health and wellness. They are however, very different techniques and provide separate benefits. The education and skill level needed to practice manual therapy is much more comprehensive. Manual therapists are highly educated health care providers that receive extensive instruction on the use of manual therapy techniques to both evaluate and treat their patients. Check with your canine rehabilitation provider. Ask them if they are trained in manual therapy techniques.